Is the Ketogenic Diet Safe for Everyone? Why It May Not Be Safe? The ketogenic diet is rapidly gaining popularity. There are many people who are planning to use the diet plan for the weight loss benefits. However, the biggest question most people have in mind is that is ketogenic diet safe? They want to know whether the weight loss diet plan will provide them with the beneficial effects that they want. You should know that a keto diet is not for everyone. This is the reason there are some serious conditions in which it is better that you avoid having keto diet instead of getting yourself in serious trouble. When it comes to is ketogenic diet safe, the most important thing you have to consider is that whether it is safe for you or not. If you are one of those people, who are planning to start a keto diet. Here we have a complete guideline that will help you find out is ketogenic diet safe or not. Before you can know is ketogenic diet safe or not, it is important for you to find out whether you should be taking keto diet and in which condition it would be helpful for you. After a year of research and experimentation, it has been found that there are different health conditions in which keto diet is healthy for the people. These are the diseases in which the keto diet can help reverse the condition and help individuals live a healthy and safe life. One of the most common condition in which people can consider starting the keto diet is diabetes. It is a condition in which due to a lack of insulin in the blood, our sugar level is increased in the blood which leads to various other side effects. However, keto diet of maintained properly can reduce the side effects of diabetes and help people in this condition. When you have lower carbs, the glucose level in your body will be automatically reduced. You can have the energy produced in the form of ketones. In this way, you can control your dependency on insulin and control the symptoms of diabetes to live a healthy life. 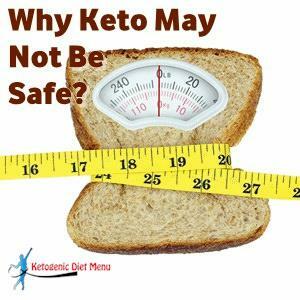 However, in all conditions is ketogenic diet safe? To find out we would like to share some health conditions in which you should not be following the keto diet because it would lead to some serious side effects that would be hard for you to control. There are many people who are suffering from eating disorders. The most common eating disorder in which people should avoid following a keto diet is Anorexia. It is a condition in which people have extremely low body weight because they are afraid of gaining weight. It means that even if they will consume anything they will start to vomit to assure that it will get out of their system and they will not gain weight. Such people should avoid keto diet because the fats may lead to increase their weight that will enhance their psychotic issue. As well as it can further lead to a loss in weight. It means that there will lose more body mass and the condition can become dangerous for them. It is important that such patients should be psychologically treated before they can start any healthy diet plan. Who Should Follow a Ketogenic Diet? Once you have understood that is ketogenic diet safe or not, the next thing you need to know that who should follow a ketogenic diet. You already know that a keto diet is good for people who are already suffering from diabetes. The reason is that it will help control the level of sugar in their blood and they will experience a healthy lifestyle. You May Also Like: Is Ketogenic Diet Help You Control Diabetes? The keto diet is also very effective for people who are suffering from obesity. It is the biggest issue of the present age. Obesity may not be dangerous for the health issue it creates for the person are life-threatening. That is why it is advised that you should control your condition and assure that you can lose weight. If there are no other serious complications that you are suffering from, keto diet can be an effective way to help you reduce weight and gain all the positive effects that come with it. You should know that if you are overweight keto diet can be effective in that condition as well. But you have to properly plan everything to assure that you will not have to deal with any side effects. Here we have a list of conditions ins which it is better that you do not follow the ketogenic diet plan. If you are suffering from gallbladder disease or your gallbladder has been removed. Gallbladder plays a major role in the digestion of fats and without it, digestion of fats will be difficult. People who had bariatric surgery for weight loss because the fats will not be absorbed in their body. Individuals suffering from any rare metabolic disorder because the increase in fat consumption will have a negative effect on the metabolism of their body. Breastfeeding or pregnant ladies should avoid keto diet on all cost because they keep carbs and proteins for the nourishment of their baby. Children should not follow the keto diet because it is the age of their growth and development and they need all the nutrients especially proteins. People suffering from pancreatic insufficiency because it is difficult for their body to digest fats. Individuals who are prone to the development of kidney stones because the fluid and salt balance in their body changes. People suffering from eating disorders avoid keto diet. When you have the question in mind that is ketogenic diet safe or not. An important thing that you have to consider is the risk factors that come with the process. You should know that there is nothing 100% safe on the planet. Everything has side effects if you will not maintain the proper plan. You should know that if you will not follow the proper guideline of a keto diet and try to merge it in the wrong way you may have to deal with some serious side effects that you did not expect in the beginning. The biggest side effects that you have to deal with if you do not follow the keto diet properly is that you will start gaining weight instead of losing it. This means that all the fats that you are consuming will be stored in your body and there will be no weight loss. It will help in the condition if you are unable to maintain your intake of carbs. If you keep consuming sugar, your body will still have enough glucose, and all the fats will be stored. If You Following Long-Term Keto Diet? One of the most important things you should know that is keto diet is not for a long-term usage. You should know that if you keep following the keto diet for a long time, it may lead to some serious side effects. Here we have the explanation of a few side effects that you need to know about. It may start ketoacidosis. It is a condition in which acidic behavior in your body will increase due to the production of ketones that may lead to some serious side effects. Increased fats in your diet can increase the level of LDL if you do not consume healthy fats. It can lead to serious cardiovascular conditions. Long-term keto diet can lead to liver disorders because your liver will have to work longer than expected. It may lead to the development of alcoholic fatty acids and insulin resistance. Make sure that you consult a physician if you are planning to start a keto diet. They will check the system of your body and let you know ketogenic diet safe or not for you. If you have started keto diet and you are suffering from serious side effects instead of the keto flu, it is important that you immediately consult a specialist. It is important that you are planning everything properly if you want to start a keto diet that is the only way you can keep it safe.